What material you would like to cut? High-Capacity Power Guillotine MultiCut F – The innovative heavy-duty pile cutter for large sizes Made in Germany. 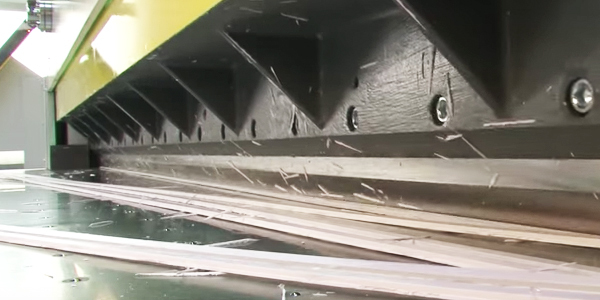 Josting has the leading technology for large size cutting. 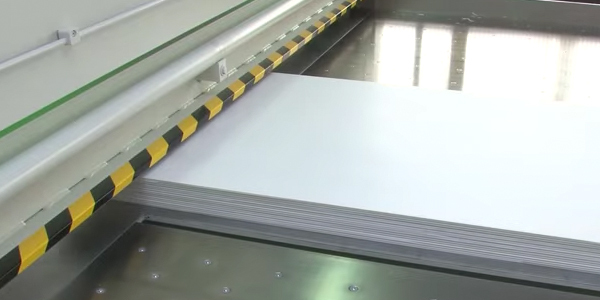 The High-Capacity Power Guillotine MultiCut F cuts paper, plastic film, cardboard and other materials. Cutting forces are reliably absorbed by the rugged steel and cast iron construction. 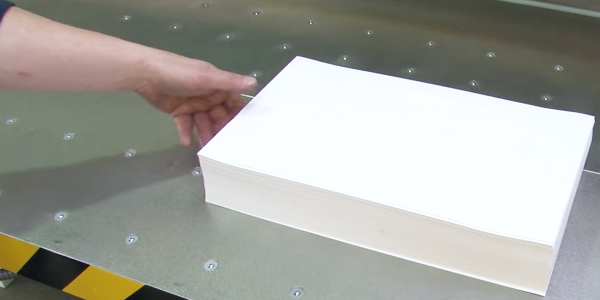 Material stacks are cut quickly and cleanly. 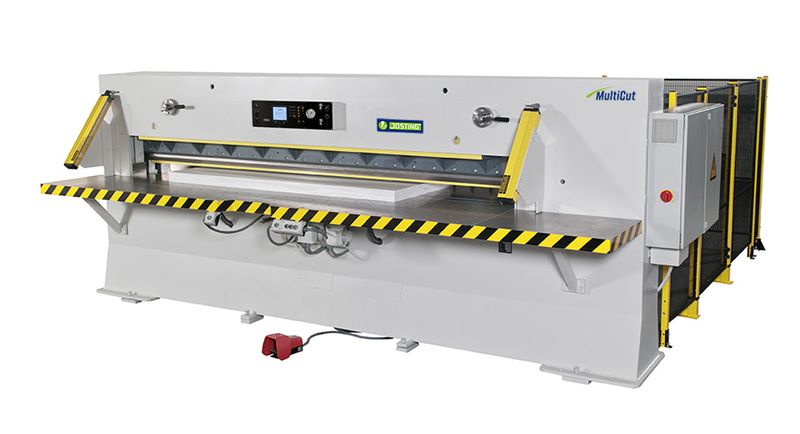 The High-Capacity Power Guillotine MultiCut F is user-friendly and reliable, and it enables a high level of productivity. 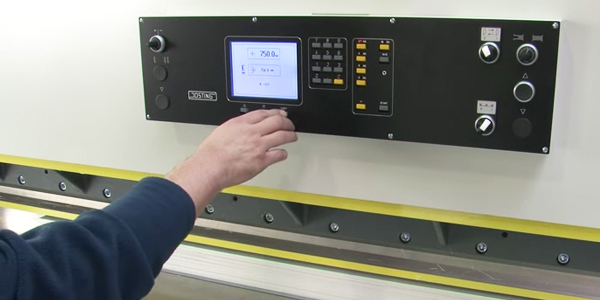 The positioning controller for the parallel fence features a width gauge, a numeric key-pad, a cut counter and pushbuttons for selecting the various operating modes. Dimensions are adopted automatically when the start button is pressed. Large air cushion tables with stainless steel surfaces facilitate movement of heavy material. The green LED guide light clearly marks the cutting position. Parallel fence with high-speed motor-driven positioning and a digital width gauge. The positioning control system can store up to 99 dimensions. Long angular fences on the right and left for exact cuts. Hydraulic pressure bar with 2 pressure settings for holding the paper stack securely on the machine table. Powerful drawing action of the knife. 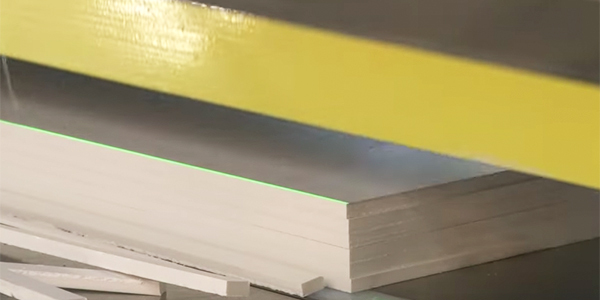 Pre-finishing cut ensures neat and rectangular edges when cutting thick materials. Air-cushion tables for easy movement of heavy paper stacks. Intermittent operation of the quiet drives. 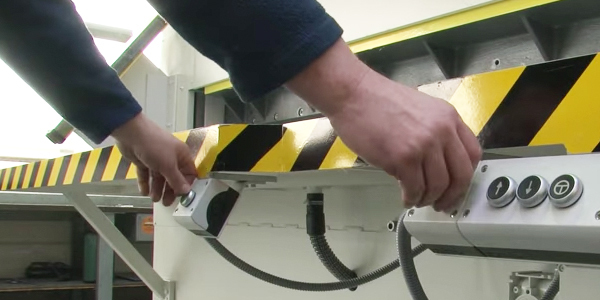 Occupational safety regulations met by a light barrier safety device, two-hand control, safety-orientated electric control system and mesh guards.